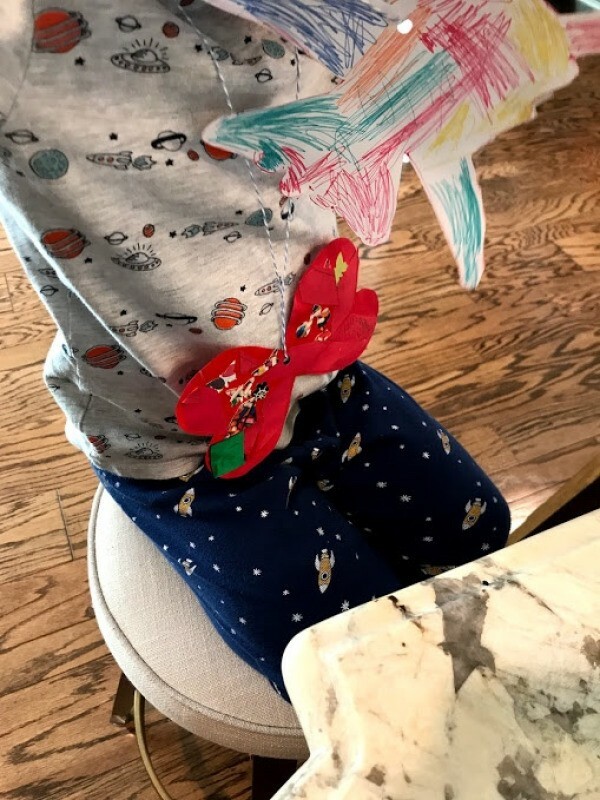 My son loved his paper rocket toy that he wanted to make his artwork into a paper necklace and wear it for fun! He was also nice enough to make his sister a butterfly necklace too. 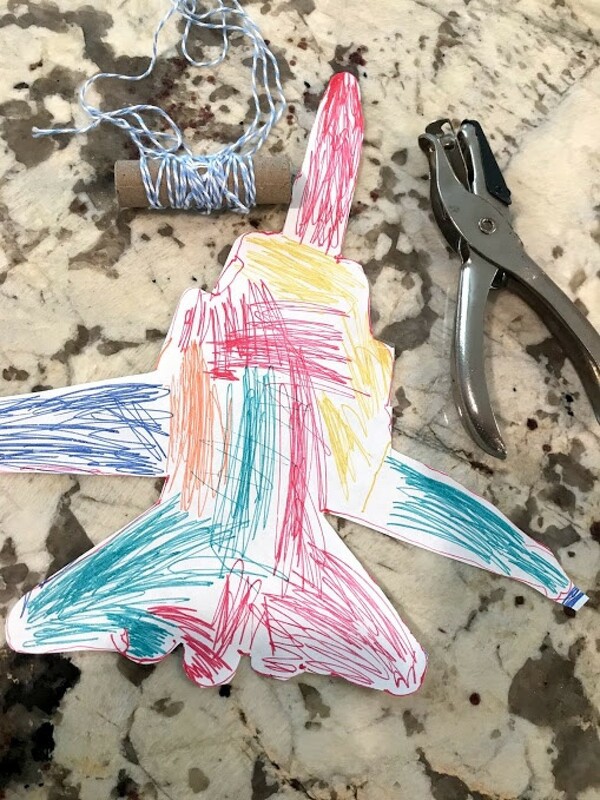 Just follow these easy steps for your child to make one of their own. 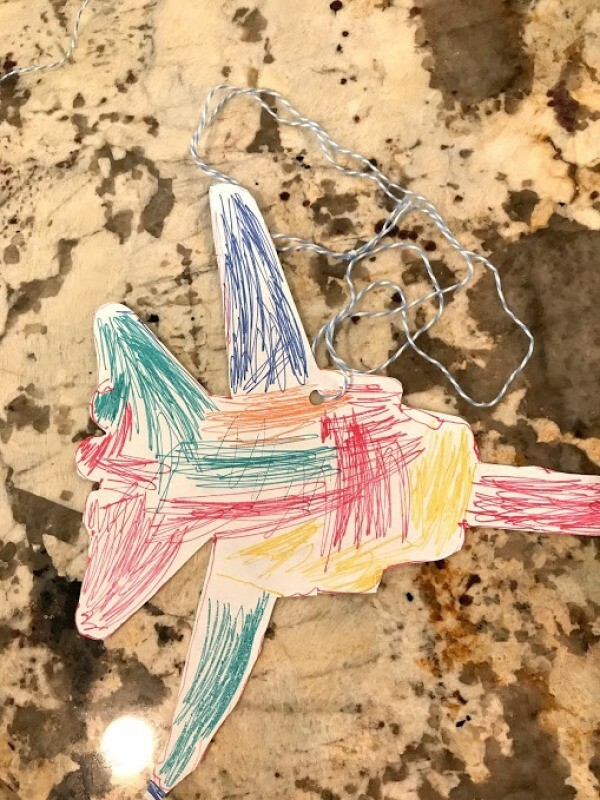 My son wanted a paper jet necklace. I helped him trace the jet, then he used his gel pens to create his own artwork! Carefully cut the drawing out. Punch a hole. 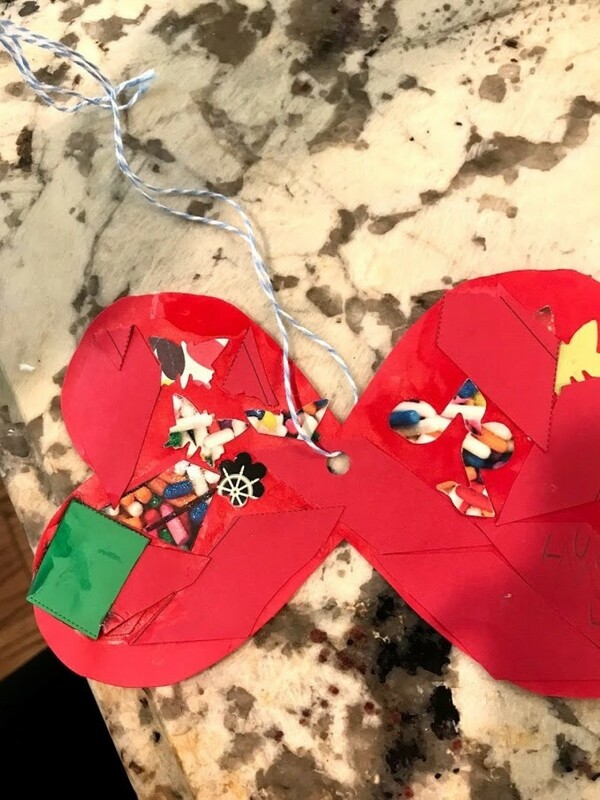 Thread twine/ribbon into hole and knot to create your necklace. Another necklace option is of a butterfly cut out with with variety of scrap paper glued down. Repeat the same steps, punch a hole, and thread string/twine then knot to create a necklace.